Which is the left side and which is the right side of a vehicle? When I buy an engine, what comes with it? What if I need a part but I’m not sure if I want a used one? What if I don't know what part I need? Can you locate parts you don't have in inventory? Does D-N-J charge for Parts Requests? What is an "aftermarket" part? What is your warranty on used parts? What is your warranty on rebuilt and new parts? How many parts do you have? How do you keep track of all those parts? Are all of your parts "on the shelf"? Can I get any part for my vehicle, no matter how small? How do auto-recycling yards save me money? If you have the part I need but my vehicle is at a repair shop how do I get it there? If you don't have my part can you find it? Why do you charge "core charges" on some items? What is a "core charge"? Who buys parts from you? Is there an association for auto recyclers? Does D-N-J Auto Parts have any job openings? How do I get to D-N-J Auto Parts? Is this a "junk yard"? How do I verify the year of my vehicle or the engine size? Can I buy body parts in the same color as my vehicle? Do you have "wholesale" and "retail" prices? What if I need to return a part, but I have lost my receipt? Why buy a repairable vehicle? How much can I save when I buy a repairable vehicle? Where do you get repairable vehicles? How safe are repairable vehicles after being fixed? What type of title do repairable vehicles have? Which is the left side and which is the right side of the vehicle? Yes. In fact, we stock thousands of new and rebuilt OEM (Original Equipment Manufacturer) and aftermarket parts. We do this to supplement our recycled parts inventory because we can't get enough of certain parts from wrecked vehicles. Some parts, like leaf springs and fuel tanks, are often hard to find in good condition because of rust. Aftermarket refers to any new part that is not "OEM" (Original Equipment Manufacturer). Generally aftermarket parts are less expensive than OEM. We stock a huge selection of aftermarket parts, from Headlights to taillights, and all are great quality. We warranty all parts for a period of 90 days from date received. Parts not defective may be returned for within 15 days of purchase, subject to acceptance and a 20% handling charge. To be returnable, parts must be in the same condition as when sold, return freight prepaid. We have a 90-day "hassle free" warranty. That means that you may return any part purchased from us, for any reason, for a complete refund. Of course there are always some exceptions, but 99.9% of the time you will not see a "restocking fee" and you will never have to settle for a cheesy "in store credit." We believe in taking your money with a smile, and returning it the same way. All parts carry a 90-day "no hassle" warranty. We also offer one year extended warranties on all parts we sell, at a very reasonable cost. In addition, we offer warranties to pay labor costs in the event of the failure of one of our parts. New and rebuilt parts come with 90 days to one-year warranties. Since the warranty comes from the manufacturer, it all depends on the part type. We stock over 100,000 recycled, new, and rebuilt auto parts. All of our parts and cars are managed by our Pinnacle yard management system, computer software developed specifically for the auto recycling industry. Computers have allowed us to be much more efficient than we were in the "old days." Now, with bar coding and the Internet and networking capabilities we seamlessly manage the entire operation with precision that was unthinkable even a decade ago. We obtain vehicles from a variety of sources. Increasingly our vehicles come from insurance auto auctions. We competitively bid to purchase these later model cars and trucks for their parts. We also purchase from dealerships, garages, body shops, and from the general public, in other words from you! We have over 24,000 square feet of indoor warehouse, with thousands of pre-dismantled parts on the shelf. However, we can't have everything on the shelf. That is why we keep 3.5 acres of cars! Because our computer tracks every sale and every part look up we are able to pull parts that are likely to sell. However, some parts have to be left "on the vehicle". We have a special crew that pulls those parts as needed. Usually a day's notice is all we need. Can I get any part for my car, no matter how small? The truthful answer is "No." We just can't send someone out looking for a wing nut or a chrome strip or a weather strip. The cost of labor just doesn't allow that. We would rather be truthful with you when you ask for something that falls into that category, rather than saying we don't have it. Because we sell recycled parts for a fraction of the cost of new, you can save 50% to 90% off the price of new parts. In addition, insurance rates are held down because of the cost savings on insurance claims by the use of recycled parts. And, the huge amount of scrap metal generated by auto recyclers reduces the price on new products that can be manufactured using recycled materials. We have a fleet of delivery vehicles that deliver daily to business accounts within approximately a 75-mile radius of us. We do not generally deliver to private parties. If you have the part I need but my car is at a repair shop how do I get it there? We will deliver free of charge to any shop in our delivery area. As long as you have cleared it with the shop, and the part has been paid for. Usually customers ask us to do this for larger, heavier items, such as motors and transmissions. Chances are your shop is already one of our customers, and we are more than happy to assist them to get your vehicle repaired. We ship parts by UPS, Fed X, or other freight companies to anywhere in the USA. Sorry, no. The days of letting people roam through our yard are over. In order to ensure safety and quality control we don't allow anyone in our warehouses or yard except our own employees. Absolutely. We have four parts locating systems with access to thousands of salvage yards and millions of parts. It's the rare part that we can't find. And when you buy it through us the part goes through our inspection process and you get our warranty. A core charge is really just a deposit. Mechanical parts (not body parts) have value to rebuilders who transform an old defective part into a useable part. To ensure that we get your old part back in exchange we charge a "core charge," or deposit, until you can return it. There are numerous benefits to doing this. First, when we sell the core to a rebuilder, it helps us to sell you the part at a lesser price. Secondly, by returning your old part to us, we get it back into the "recycling stream" where it will do some good, either as a rebuilt part, or as scrap. This helps to conserve natural resources, including the energy required to create a part from scratch, from the mining of the raw materials to the machining and manufacturing of the part. Additionally, when you turn in your old part to a certified recycler, you know that it will be handled in an environmentally responsible manner. Leaking fluids, grease and other potentially harmful materials will be contained. Better than tossing it into the garbage where it will eventually end up in a landfill, don't you think? Smart people. Seriously, anyone who drives or fixes vehicles can and should buy parts from an automotive recycler. 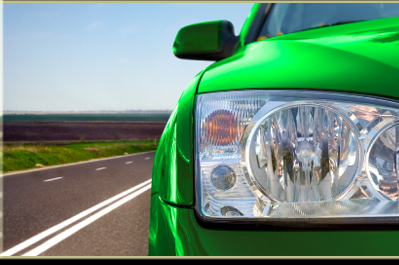 Our main customers are body shops, mechanical repair shops, transmission shops and the driving public. We also sell parts to fleet companies, city municipal garages, and glass companies, to name a few. Remember, all vehicles run on used parts. Yes. In Kentucky we are members of the Kentucky Auto and Truck Association (KATRA). We are active members and currently serve on the board of directors. We are also members of the national association, Automotive Recyclers of America (ARA). We usually post our job openings in local newspapers. If you would like more information about available job opportunities, please print out our job application (under Forms) and fax it back to us at 1-270-688-0255. How do I get to D-N-J Auto Parts & Sales? We are located at 1120 Crabtree Ave in the city of Owensboro, KY, Our hours are Monday through Friday 8:00AM-5:00PM. We are closed weekends and holidays. Check out our website page "Maps" for directions. We really hate that term. No, we are not a junkyard. A junkyard is just a field of rusting hulks. We are a Quality Used Recycling Facility that carefully uses best business practices to safely and efficiently process wrecked and disabled automobiles for their useable parts. Use a VIN decoder. Every car has a VIN, or "vehicle identification number." This is the 17-digit number that appears on a tag placed usually on your driver's door and also visible through your windshield on the driver's side. It is surprising how many people, and even repair shops, get the year or engine size wrong, causing them to order the wrong part. The easiest thing to do is to give the VIN number to one of our sales people and have them decode it for you. Can I buy body parts in the same color as my car? Sometimes we can accommodate you, especially if we are well stocked on certain model cars and we have many choices. However, we cannot guarantee an exact match, because of fading and year differences. Also, we will not attempt to locate parts by color. No. We have one pricing structure. We don't play that game. You get the same price as our best account. We want our parts to be as affordable as possible. We prefer of course that you keep your receipt. However, as long as we can read our stock number on the part we sold you, we can recreate your invoice. We will make the effort, and usually we can find it, however, if we cannot verify the purchase we cannot refund. We have the state-of-the-art equipment for handling batteries; tires, oil, gasoline, freon and other vehicle liquids so that they will be properly recycled or sent to the facilities which will properly handle disposing. We really do care about our environment. Where do you get repairable cars? Most of our repairable cars are purchased from insurance salvage sources. Some cars are purchased from automotive dealers, shops, and directly from individuals. In all cases, we are looking for vehicles that were in above average to excellent condition prior to casualty loss and will provide good value for our customers. When properly fixed, repairable cars are as safe as other cars on the road, which have not been repaired. What type of title do repairable cars have? In the U.S., vehicles are titled by the individual states and the type of title a repairable car will have depends on the state the car is titled in. Some states retitle repairable vehicles, Salvage, while others leave the original title with the vehicle. Your state motor vehicle department or our title department can assist you with this. This site has been viewed 381,305 times!